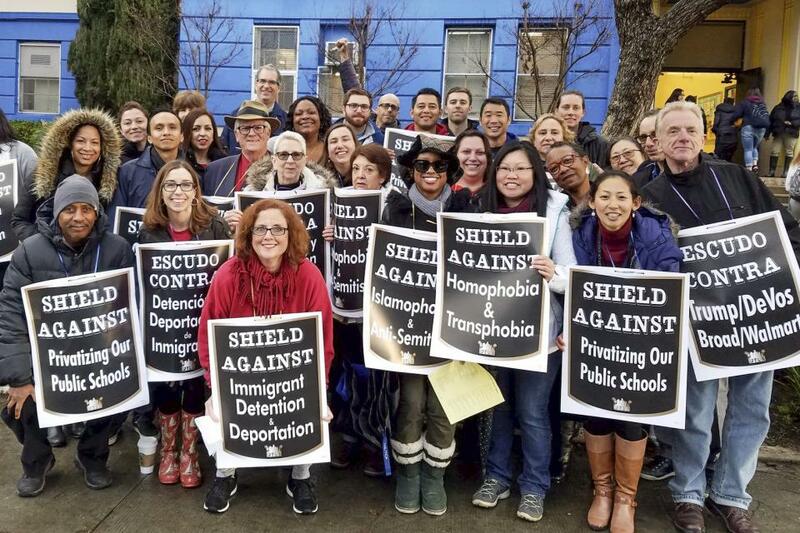 A movement is underway in California and across the nation to protect our most vulnerable students and their families from President Trump’s anti-immigrant executive orders. The CFT has created this online toolkit for educators, students and families with links and downloads from numerous advocacy organizations. Many school and college districts have passed resolutions asserting their right to keep public education safe for all students. You will find a resolution protecting public schools, model language for declaring a college a safe zone, and a sample letter for higher education campuses.